Elite3 and Team are pleased to inform you that we have a new listing: 2353 Delnice Dr, Oakville and the listing price is: $2,398,000. 2353 Delnice Drive is a beauitful family home located in Oakville’s prestigious Joshua Creek neighbourhood. Boasting over 6500 square feet of living space, this is a unique home that was fully renovated top to bottom in 2017, featuring nine-foot ceilings on all three floors and gorgeous finishes in every room. Situated on a pie-shaped lot near beautiful walking trails and parks, this is the ideal home for families of any size. The main floor is sophisticated, bright, and full of natural light. Double doors lead to a gorgeous foyer, with two-story ceilings and pendant chandeliers. Large baseboards, crown mouldings, and wide hardwood flooring are featured throughout the entire main floor. The living room, family room, and office each feature a gas fireplace, giving each room a comfortable, welcoming appeal. The open-concept family room is a highlight of the house, with two-storey ceilings, high windows, and a great view of the backyard. Another highlight of the house is the chef’s kitchen. The oversized island, granite countertops, granite backsplash, and the wine fridge are just a few features that make this room spectacular. The high-end stainless steel appliances are built-in, and the butler’s pantry features modern cabinetry and granite countertops. The walk-in pantry features a second stove with a range hood that prevents cooking smells and smoke spread throughout the house – truly a treat for the chef in the family! Upstairs, a comfortable sitting area has an open-concept design and overlooks the family room. Down the hall, the master bedroom is stunning, with large windows, a sitting area, a Juliette balcony, and a walk-in closet. The six-piece ensuite bathroom has a make-up area, a modern soaker tub, and a glass walk-in shower room. The second bedroom also features a spacious three-piece ensuite, and the third and fourth bedrooms share a charming Jack-and-Jill bathroom. The basement is spacious and great for entertaining. It boasts an electric fireplace, a wet bar, a game room, and a walk-out to the backyard. The backyard is fenced in and private, with a stone patio and a large wooden deck. 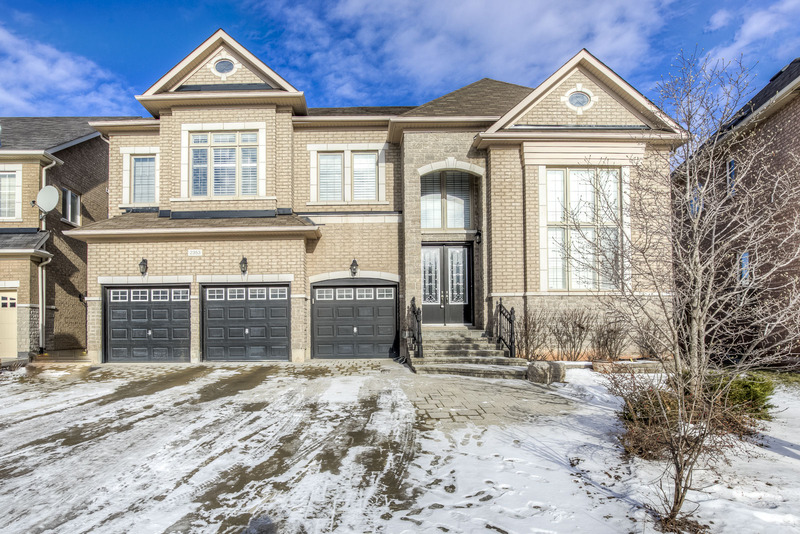 Delnice Drive is a family-friendly street located in north Oakville. Known for close access to community centres, churches, and other local resources, this neighbourhood is ideal for active families with young children. East and west commuters enjoy close access to highways 407, 403, and QEW. This community-focused neighbourhood is also home to some of Oakville’s best schools, including Joshua Creek Public School, Iroquois Ridge High School, and St Matthew Catholic Elementary School.